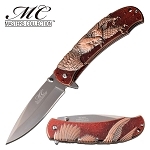 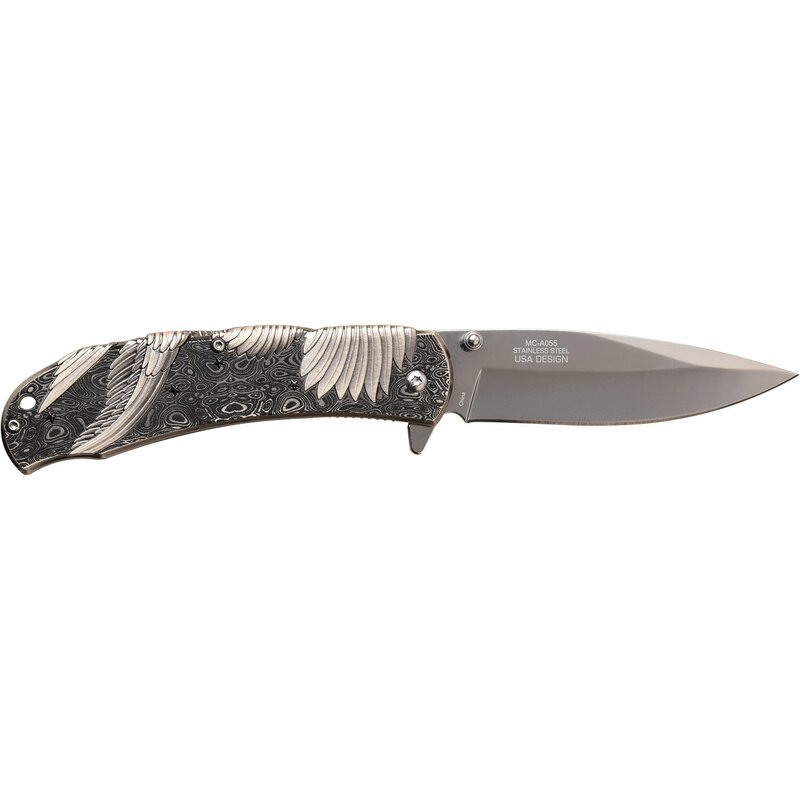 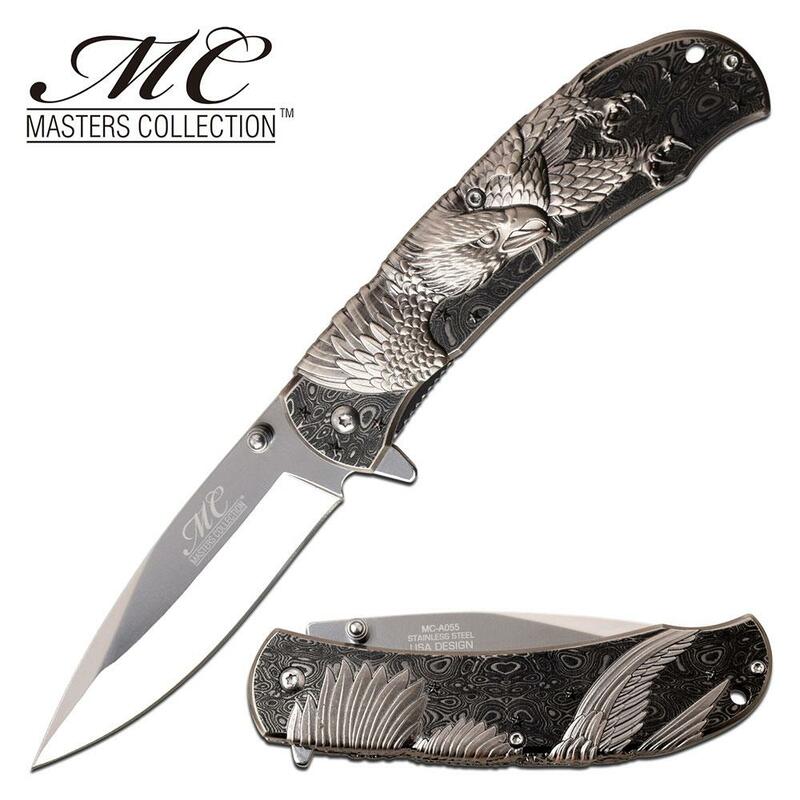 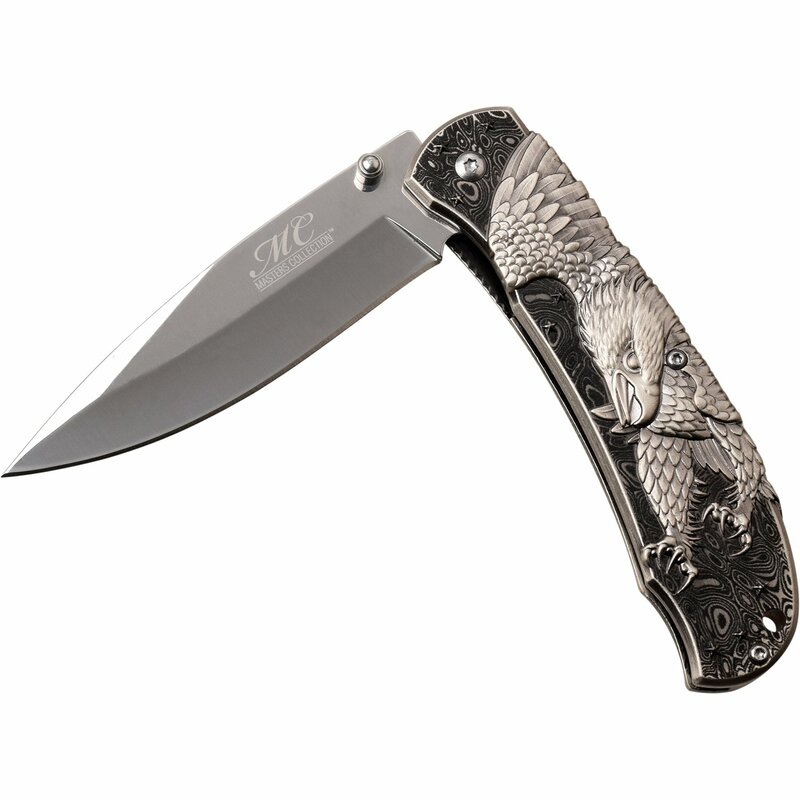 Beautiful eagle design spring assisted opening knife. 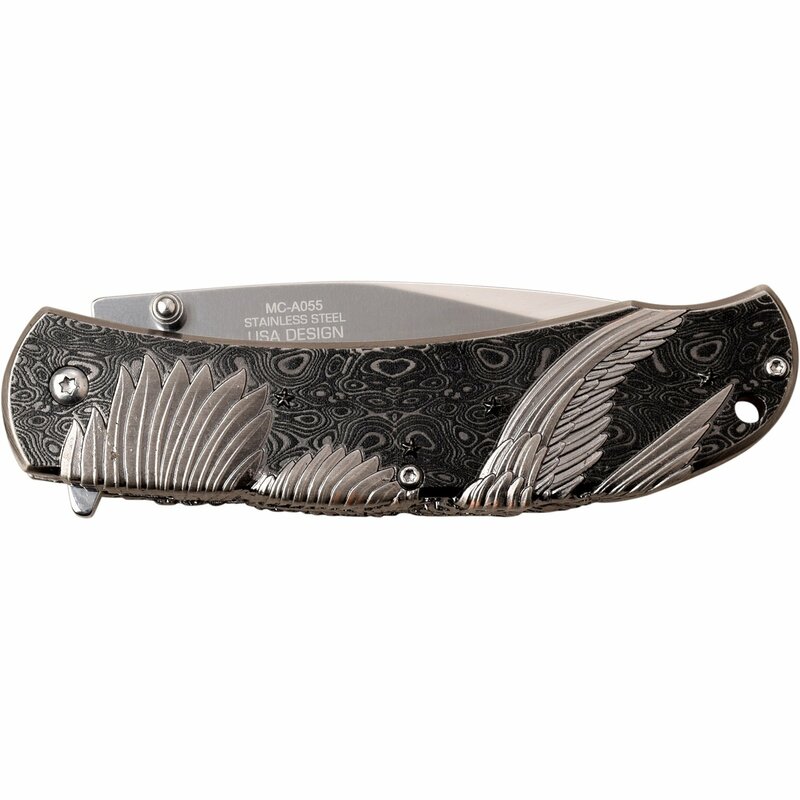 Silver eagle on handle. 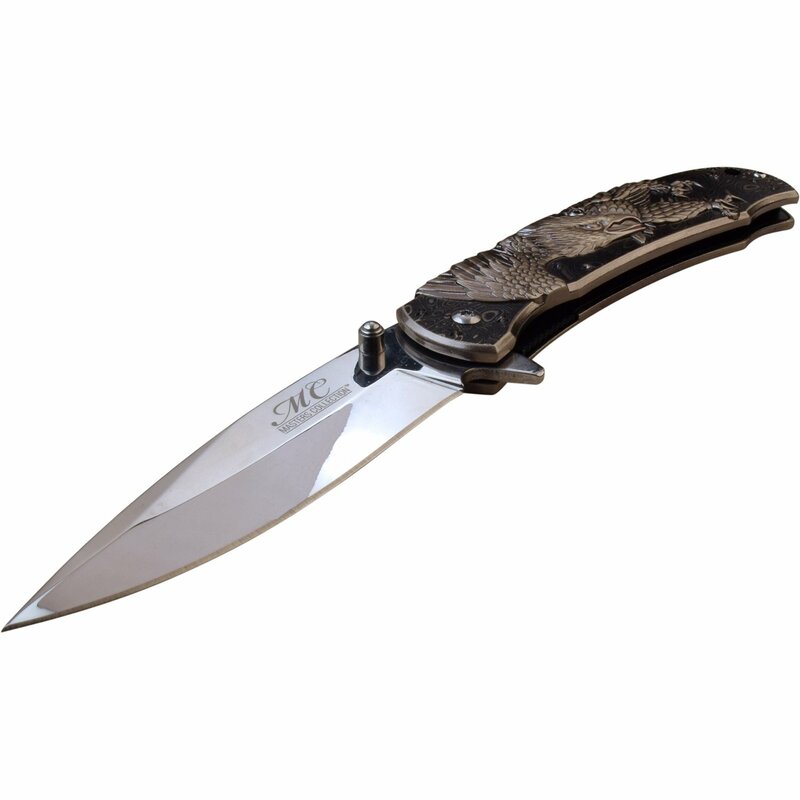 Mirror polished drop point steel blade.